Our next Cooking project will be a monthly program called Cooking for Community. Food insecurity is a growing concern in the Okanagan. Cooking skills are important to food security, but skills can’t improve food access for people who lack the resources to buy or cook healthy food for themselves. Cooking for Community encourages community members to prepare meals for those who can’t cook for themselves. Through the program, we’ll raise awareness of food insecurity and give our “community cooks” a way to help people in need – while improving their own cooking skills! Our project is a monthly cooking class/community kitchen where people from all walks of life learn to cook healthy fresh food. 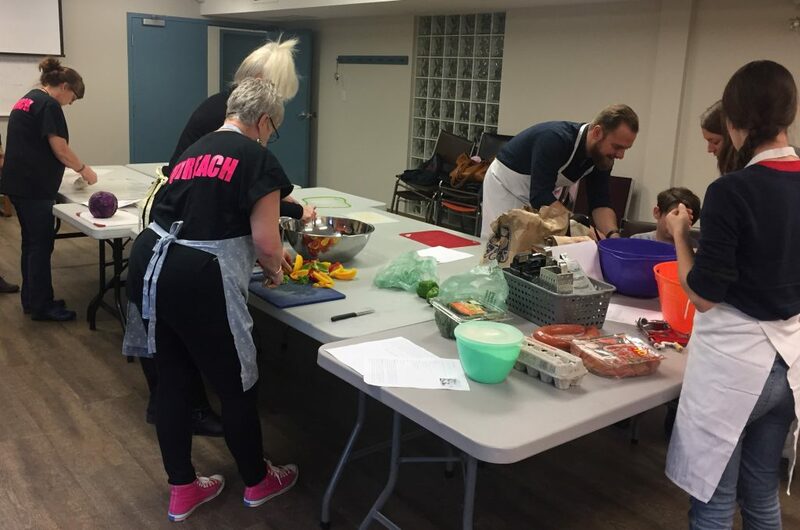 Every session, we’ll select a demographic in need (seniors, homeless, at-risk youth) and focus our recipes/meal preparation on their nutritional needs. The meals prepared will be distributed afterwards to those people at no cost.